Women’s uniforms? Those are two words that many fashionistas will not think to be in the same sentence with Jason Wu. But, apparently, it is happening as the renowned designer collaborates with LA-based MADWORKSHOP and Otis College of of Art and Design to explore the history, symbolism and future of women’s uniforms. Wu, who is known for dressing glamourous women that includes Reese Witherspoon, Kerry Washington and Diane Kruger, presented this collaboration in conversation with Sharon Takeda on October 26, 2018 at the Los Angeles County Museum of Art (LACMA). The discussion between Wu and Takeda, LACMA’s senior curator took place at the famed musuem’s Bing Theater with more than 400 people attending, including actresses Camilla Belle and Larsen Thompson, and Olympic medalist Maia Shibutani. As part of the collaboration, a new design studio at the Otis College of Art and Design will be the home of Jason and his fifteen fashion students as they reimagine the woman’s uniform – a theme chosen by Jason along with Mary and David Martin’s MADWORKSHOP Foundation. This coalition will examine the history and symbolism of the uniform from the 40’s and 50’s translated into a modern ready to wear collection. The final collection will be informed and enriched by special access to the Costume and Textiles Department at LACMA. The studio begins this fall and culminates in a runway show in May 2019. 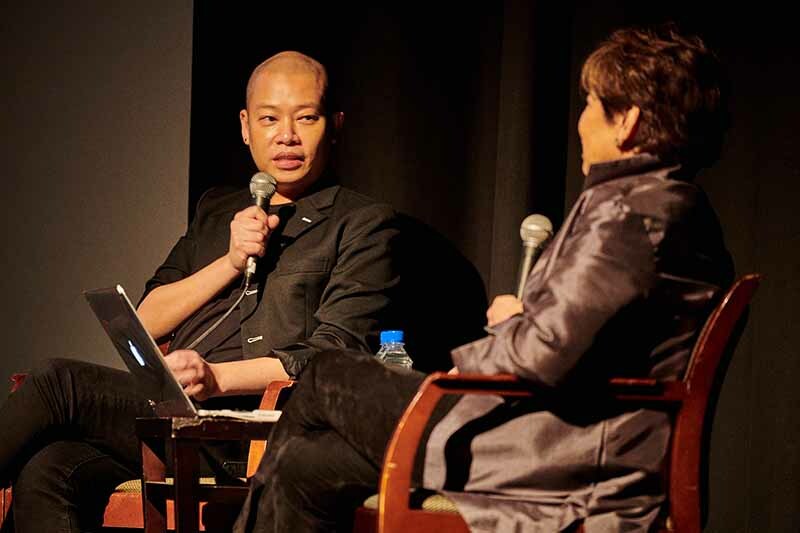 The Jason Wu studio falls on the occasion of the Otis College centenary and is made possible thanks to Mary and David Martin’s MADWORKSHOP Foundation. The uniform is more than just an item of clothing — it also speaks to larger issues of work, identity, and society. In focusing specifically on uniforms worn by women, the collaboration will also explore the history of fashion, bringing mid-century tailoring together with modern haute couture. The collaboration will play with the tensions between masculine and feminine, past and present, hard and soft.